Stocks depleted it’s time for a concentrated burst of brewing ready for the autumn! 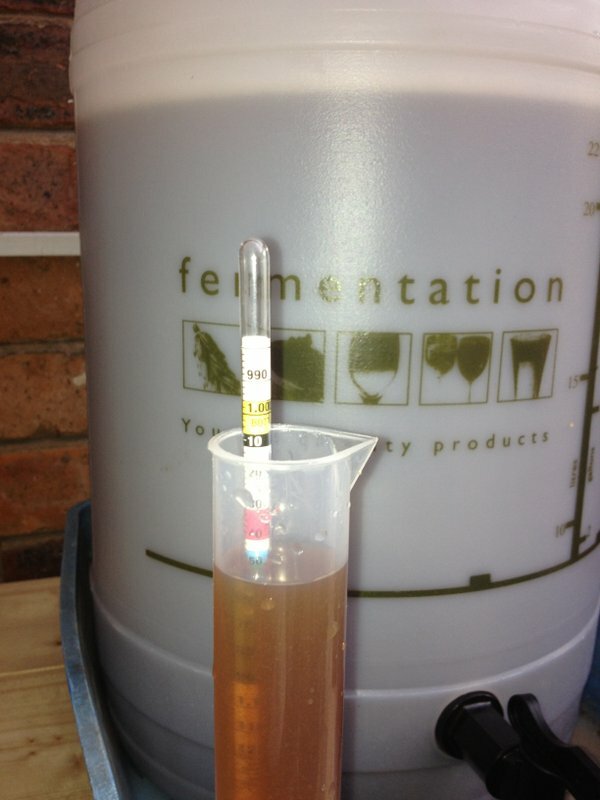 First up… a remake of the Irish Red Ale I made on Brewday 4 with a couple of tweaks. 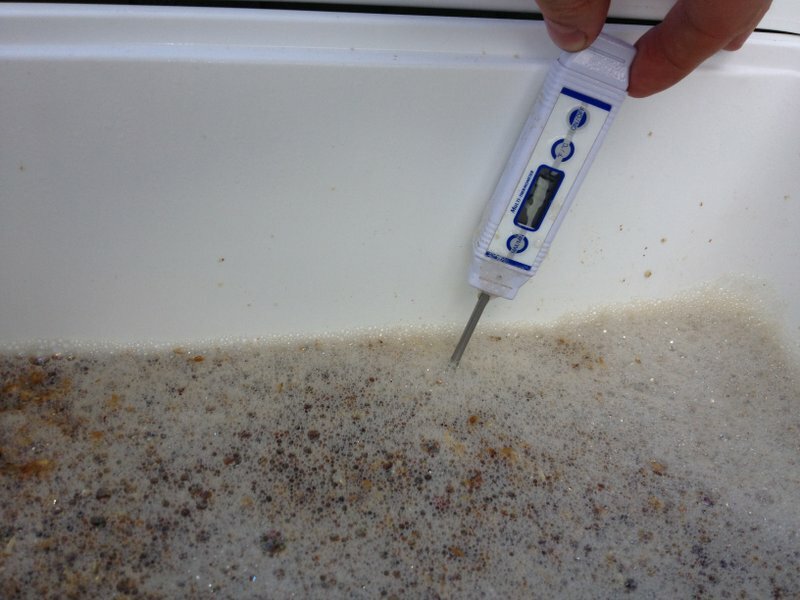 A little more grain in this batch over version 1, so this time the target OG is 1.047 and an expected ABV of 4.59%. I’m also using a dried yeast instead of the liquid Irish Ale yeast, although this is more down to what I had to hand at the time of planning the brew! 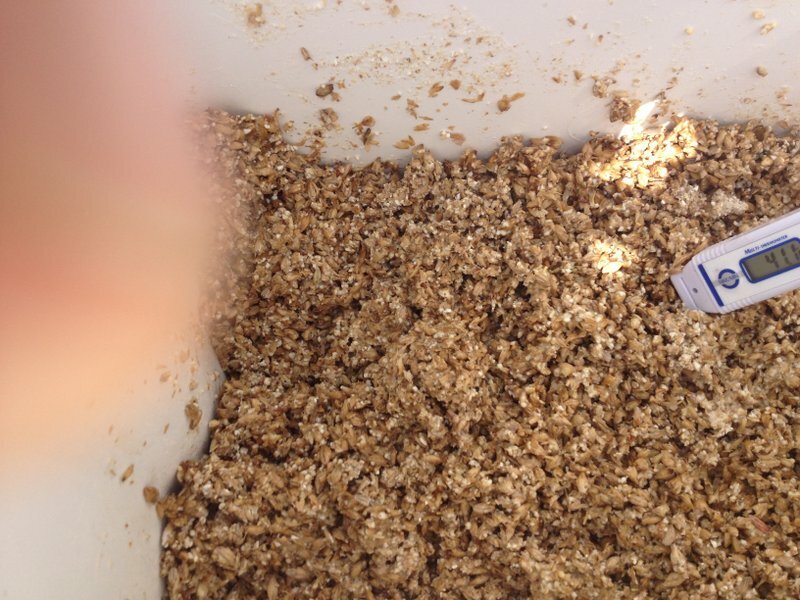 This time my iPhone behaved and we have pictures of the brewday! 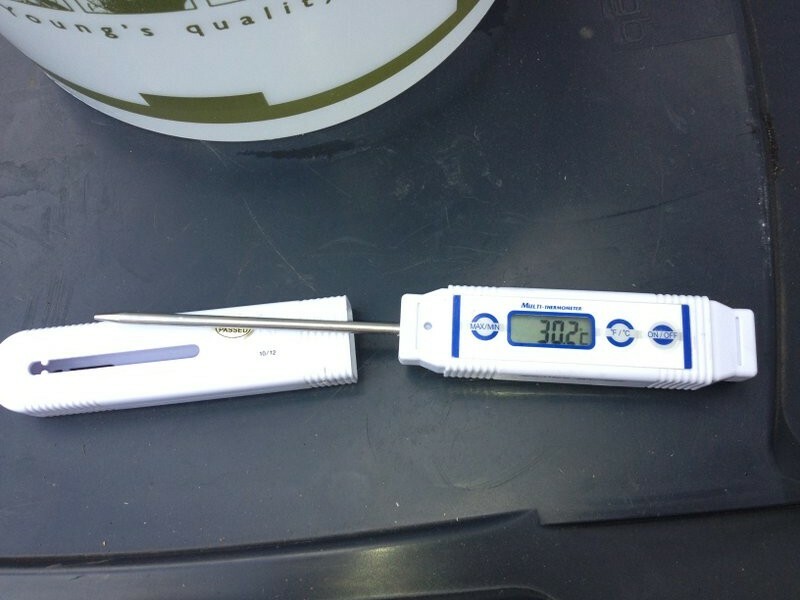 30.2C air temperature in the shade, definitly a day for brewing in the sunshine! 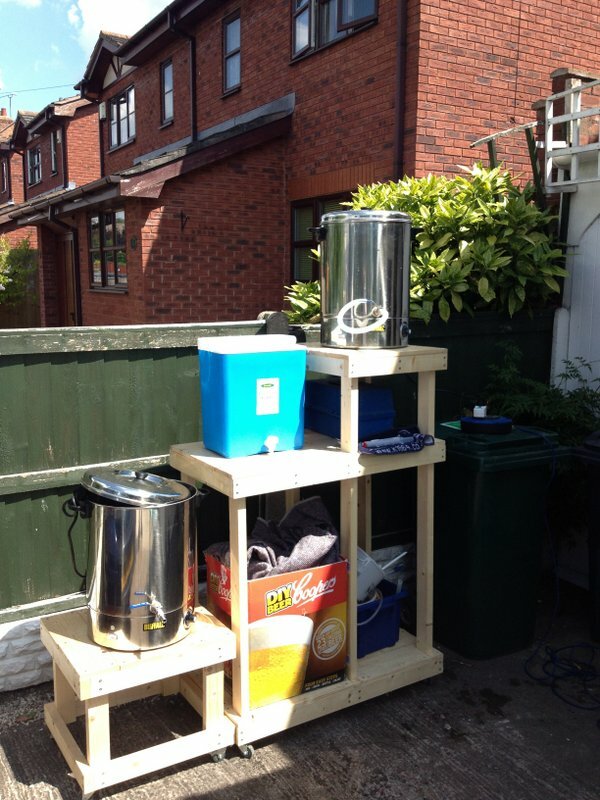 Now I am really glad I mounted the brewing rig on wheels – have brewery will travel! The grain shot! 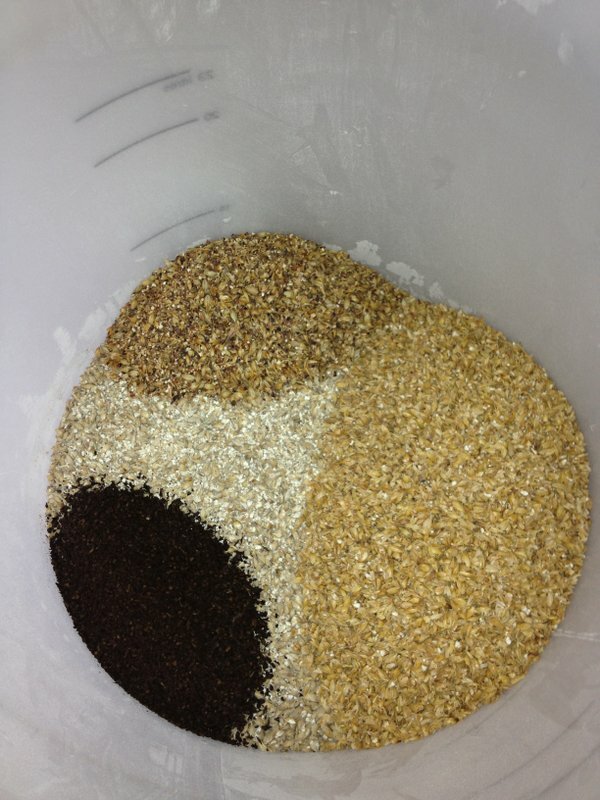 Maris Otter at the base, the two Crystals (top and right) and the Roasted Wheat is the black one. In such a small percentage in the mash this provides the Red hue to the finished beer. 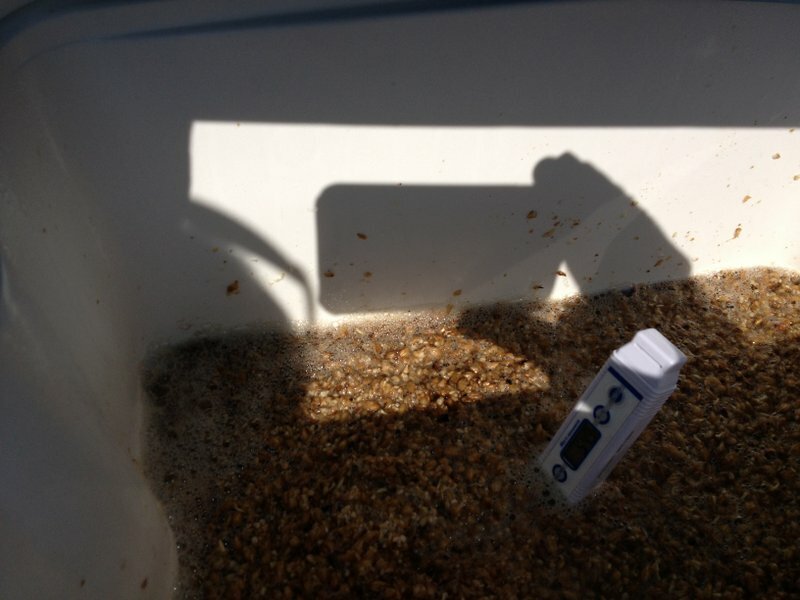 Three stage Mash in progress at targets of 40C, 60C and 70C. The photos aren’t great, but I was pretty close to each step! 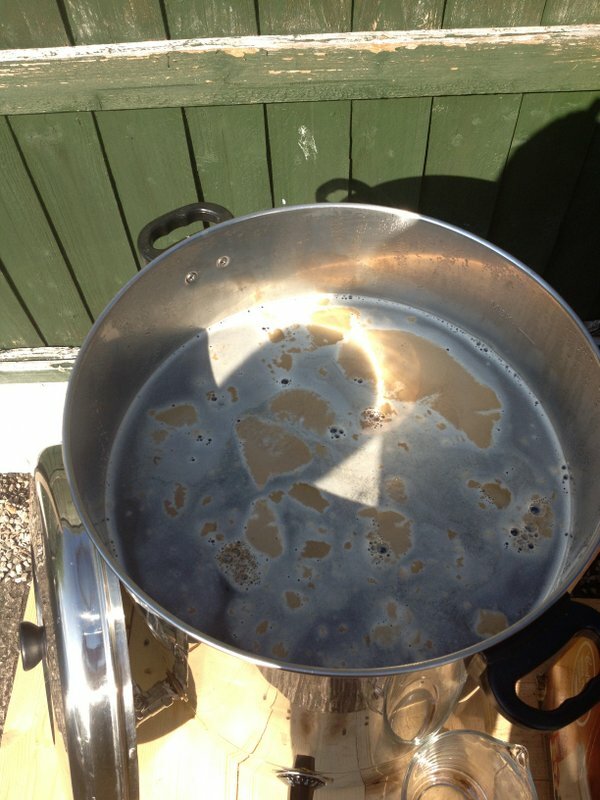 Sparge completed and boiler just starting to come to temperature. Boil completed and cooling in progress. Now transferred to the fermenter. 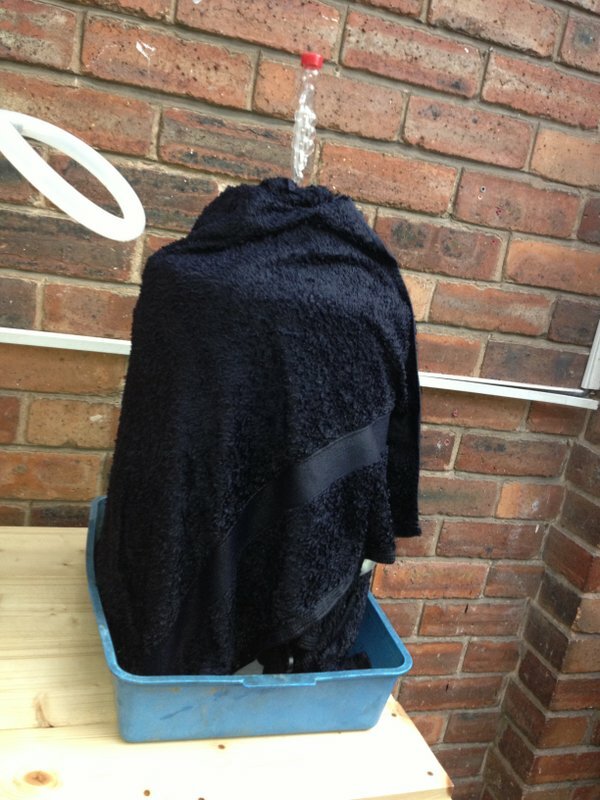 OG 1.050 at 25C, and due to the air temperature the FV is wrapped in a wet towel, and stood in a water bath to keep it cool! 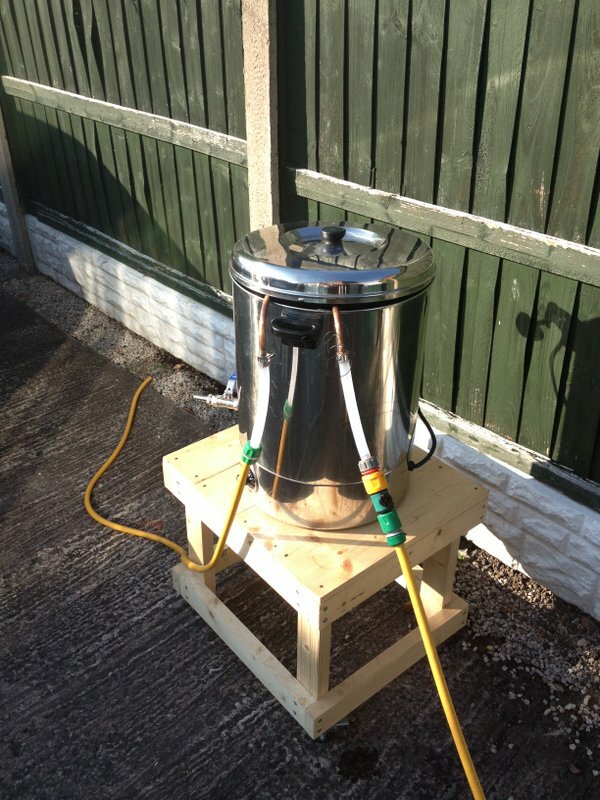 Overall this was a very relaxing brewday in the sunshine! I could definitely get used to these! The higher OG works back to an efficiency of 82%, and depending on the yeast performance an ABV of 4.98%. A bit bigger than planned again but not something to complain about! Serve date on 23/08/2013, can’t wait!